Everybody owns some black clothes. Whatever style you’re into, wearing black is one of the easiest fashion moves to make. It’s sleek, smart, it’s easy to match, attractive, and it can really make you look put together. Best of all, it will never go out of style. But keeping your black clothes their blackest can present a challenge. Especially if you wear and wash your black attire frequently. Without proper care, eventually those deep, rich blacks can fade to dull charcoal and unimpressive shades of grey. Black clothes look their best when they’re…well, black. There are a couple different ways to stop your black clothes from quickly fading out. These tactics also work for your favorite dark clothes, like navy, too. Think about this for a second: if you want to keep your white clothes their brightest, you should avoid washing them with other colors, particularly darker colors. Failing to do so will dull the bright and vibrant whites by transferring and mixing elements of each garment in the same water. It may not seem apparent without a side by side comparison, but it is true nonetheless. Well, dark clothing works the same way! When you wash your deep, dark colored clothing with vibrant colors, they each affect the other and balance each other. In the case of your clothing, balance is NOT what you want. You want your whites to stay white and darks to stay dark, so that they look their best. 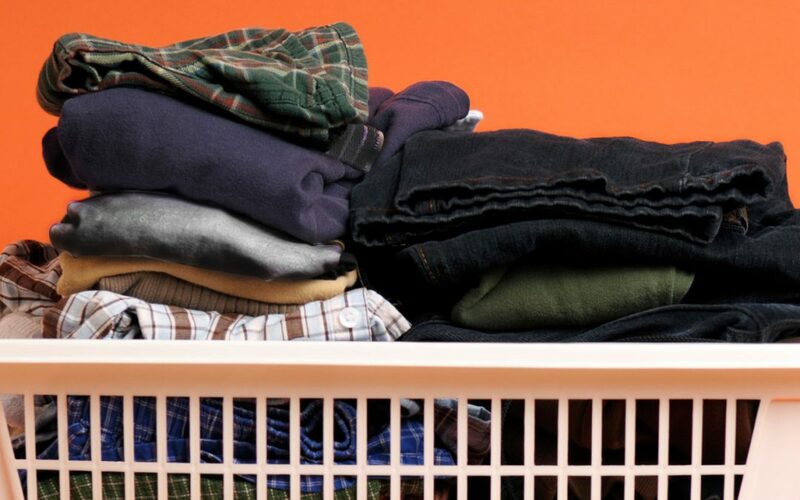 The first thing you should do to keep your blacks from fading: sort your laundry to avoid the balancing effects of washing unlike colors together. Avoid reds with your black and dark clothes, even dark crimsons. Especially if the red clothes are new. Red dye has the worst reputation for bleeding out and affecting other clothes. Often, red clothes labels will encourage you to do the first wash by hand to avoid bleeding. While this may not be the case for every single piece of red clothing you own, it’s just one of those better safe than sorry things. Why risk it? Do you want your black shirt or blouse to have a crimson sheen? Maybe if it were done on purpose, but it doesn’t always come out even or pretty. Therefore the simple rule of thumb is to be wary of red clothes with your dark colors. A smart and easy way to keep your dark clothes extra dark is to use cold water. Avoiding hot water in your washes will actually help to preserve the dye for longer. When you wash clothes in hot water it can cause the dye to run, fading the color and impacting the other clothes in wash.
Make sure to select a detergent that can be used with a cool wash and keep the temperature low when you wash dark clothes. Generally, 30 degrees Celsius or about 85 degrees Fahrenheit is considered a safe temperature for most dark clothing. But always double check your detergent and make sure it is a safe temperature. The best bet to keep your dark clothes dark is to not put too much stress on them at all. Don’t wash them in heat, don’t wash them for long periods, and lastly- don’t tumble dry. Your darks clothes require a cold, short cycle. If there is a severe stain that you think requires extra care, pretreat it and then put them in for a quick cycle. The more abuse from heat and washing your darks endure, the more they’ll fade. That’s why it’s best to air dry your black clothes once you finished washing them. 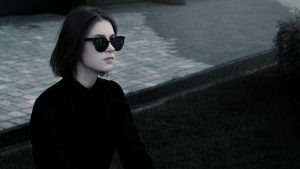 Dark clothes are sensitive and your darks will quickly fade to grey if you aren’t careful. Make sure that you do everything in your power to make cleaning your dark clothes as gentle, quick, and cool as possible. Avoid heat, long wash cycles, contrasting colors, and any strong detergent additives that could be harsh on the dye.